Working with RSL will give you the confidence that comes with knowing that your facility is in good hands. 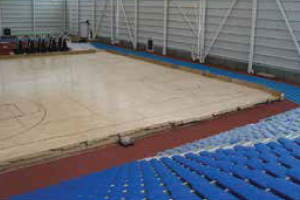 For over 50 years, RSL has been committed to giving you the highest quality products and technical support for your gymnasium facility, arena or auditorium. Together with our growing international dealer network we can help simplify the difficult questions that accompany the critical process of space planning - maximizing your facility’s functionality and guiding you through the seemingly endless maze of code requirements. RSL’s established reputation for quality, reliability and service extends throughout North America and around the world. RSL representatives will discuss all aspects of you particular program requirements with you, incorporating them into an overall master-plan. We will work hand in hand with you from the earliest stages of the design process, through to production in our cutting-edge manufacturing facility, installation by factory certified installers, and well beyond project completion to ensure complete satisfaction and spectator safety. In all the phases of your project, RSL delivers to you only the highest quality and the confidence that comes with it. Your project is special. You don’t want to trust something this important to just anyone, that’s why you trust RSL. Not only do we build the only telescopic seating system that is built “Kodiak Strong”.... WE BUILD CONFIDENCE! 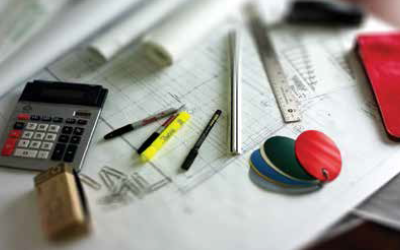 Trust us to take your project from Concept to Completion! 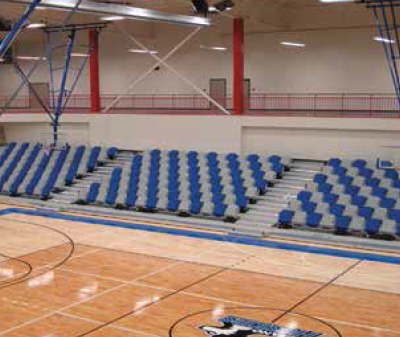 Using heavier gauge steel, heftier understructure, and superior design, the Kodiak Seating System is built to be the sturdiest and best performing bleacher in the industry. A. Posi-Drive Electric Operation: The Kodiak Seating System uses self-weighted independently hinged tractors, the best in the industry. 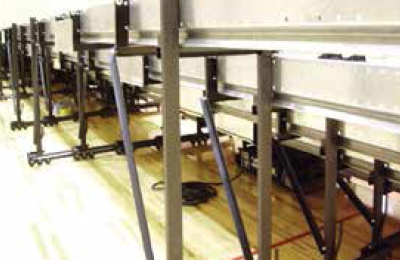 Posi-Drive systems are installed on 3-30 row bleachers on both wood and synthetic floors. B. Wheels: 4” x 1-1/4” diameter soft nonmarring wheels. 8-12 per row for a sure footing and consistently smooth pulls. C. One Piece Wheel Channels: 1 piece 11 gauge C-channel gives you precise wheel alignment and maximum rigidity. Heaviest in the industry. D. Posi-Slide Rod-Guide System: Ensures a straight and smooth pull every time. Captive 1/2” cold-rolled steel rod. Heaviest in the industry. E. Row Locks: Kodiak Seating's 1/4" steel row-locks automatically engage and release for controlled operation every time. Heaviest in the industry. F. Vertical Support Columns: Minimum size is 11 gauge closed-seam structural steel tubing 1.5" x 3", with 1.5" x 4.5" when required. Heaviest in the industry. G. Steel Angle Sway Bracing: Kodiak Seating's angle iron steel bracing gives superior support over flat steel bracing or formed steel, 1.5" x 1.5" x 1/8" to 3.5" x 3.5" x 1/4" with additional bracing on higher rowinstallations as required. Heaviest in the industry. 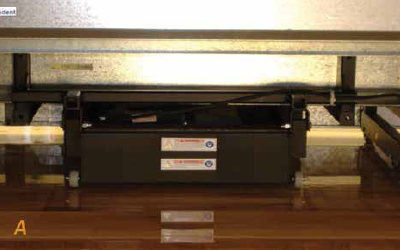 H. Posi-Roll Upper Guide System: Nylon roller ensures a straight and smooth pull every time. I. Seat and Deck Brackets: 7, 10, & 12 gauge steel. Heaviest in the industry. J. Decking: Exterior Fir Plywood finished with Panelam, 30mill HDPE Laminate. 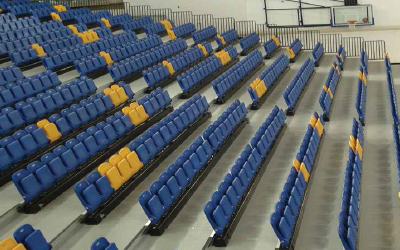 Kodiak Seating gives you the peace of mind that comes from knowing that not only will your spectator seating pass all prevailing building codes and stand up to routine heavy use; it will also pass the most important test of all: THE TEST OF TIME! 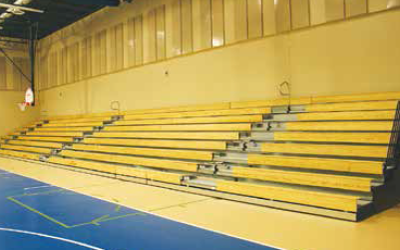 In today's multi-use facilities, a strong bleacher with minimal set up time and increased flexibility of use is a must. Fast and convenient turnaround from seating area to total floor use is essential. Our team will work closely with you in designing a system that will satisfy your needs and keep set-up time to a minimum. A limitless range of system configurations including truncations, recoverable sections, and various ADA options gives you all the flexibility you need for now and tomorrow. 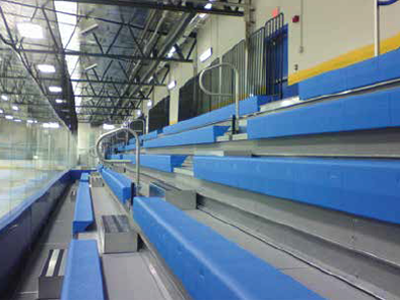 All integrated into the only bleacher on the market that is made "Kodiak Strong". Contoured Seat Modules (CSM): Kodiak Seating's deeply textured one-piece modules are available in 14 standard vibrant colours, both in 10" (254mm) and 12" (305mm) modules. All Kodiak Seating CSM seats are made from High Density Polyethylene (HDPE), injection molded, with no streaking! A 360 degree full 1" interlock ensures a tight seat to eat alignment for years to come. Pine Seating: Get the classic look of wood with the modern performance of Kodiak Seating 2400 series. Kodiak Seating bench type seating is available in 4/4" nominal thickness. Made from Grade B+ better single species pine. This seating is double sanded and finished in 2 coats of polyurethane. Strength and Flexibility Kodiak Seating Gives You Both! Ask about seating graphics or custom pantone colours for that truly personal touch! 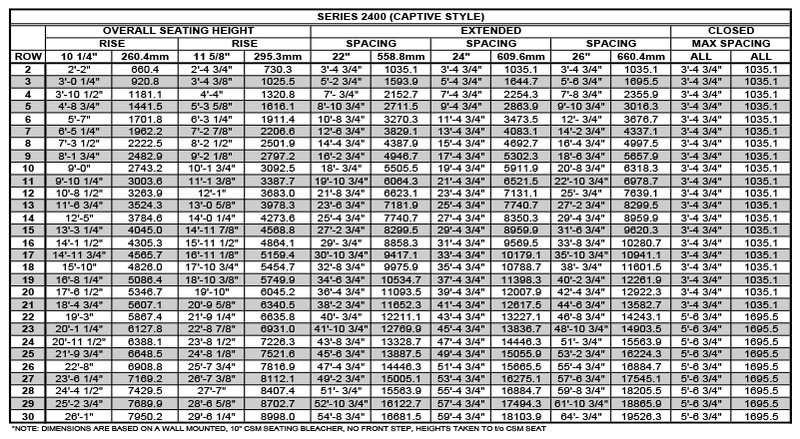 Standard Section Lengths: 12' (3657 mm) to 26' (7925 mm), sections can be combined to form any nominal length called a bank. Standard bank lengths come in 2' increments. For a truly first class facility, choose the Kodiak Seating System 3200 series telescopic platforms with our Plastic, Padded, or Fully Upholstered fold-down chairs. Available in a variety of colours, these are the ultimate in comfort and prestige all the while, maximizing the functionality of your facility. 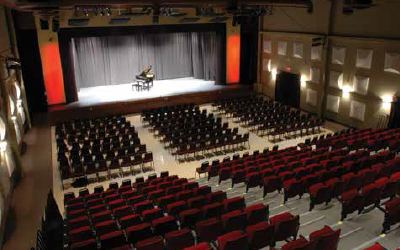 Combining the unsurpassed comfort of Kodiak Seating's individual chairs and the versatility of the telescopic platforms, individual chair systems are gaining popularity in high schools, universities, music halls, auditorium/cafetoriums or any place where comfort, style, and versatility are the final goal. Available Chair Options: For maximum choice, the Kodiak Seating System VIP fold-down chairs are available in a variety of styles and sizes. Choose from plastic, padded, or fully upholstered for the chair. Available chair accessories are arm rests and writing tablets (on select models only). All models can fold down up to 8 chairs at a time with spring assisted foot pedal operation, located conveniently along each aisle step for maximized efficiency in set up and take down operations. 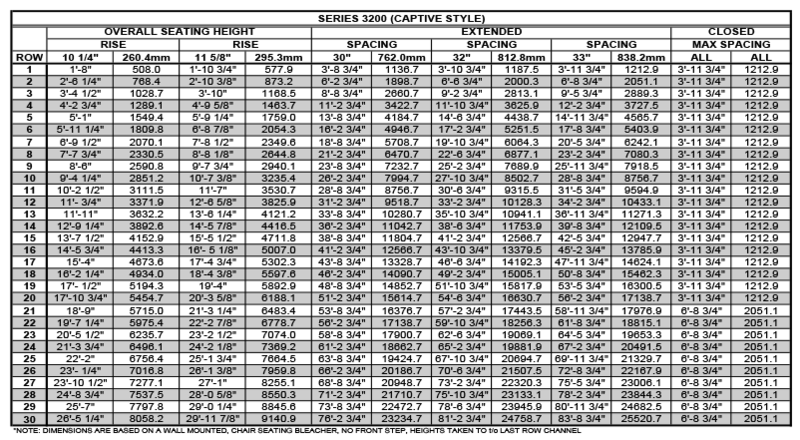 Available Standard Section Lengths: 12' (3657 mm) to 20' (6096 mm) sections can be joined to form any nominal bank length of 2' increments. A. 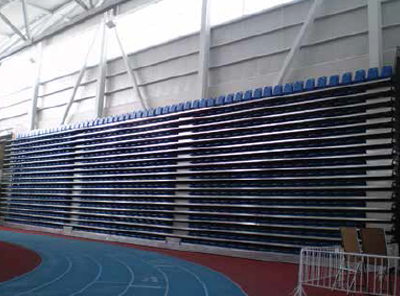 Wall Attached (Forward Fold) System: This is the most typical application of telescopic seating in which the bleachers open in the forward direction. They are available up to 30 rows and utilize either wall or freestanding floor attachment. Closes from first to last (top) row and operation is either electric or manual. 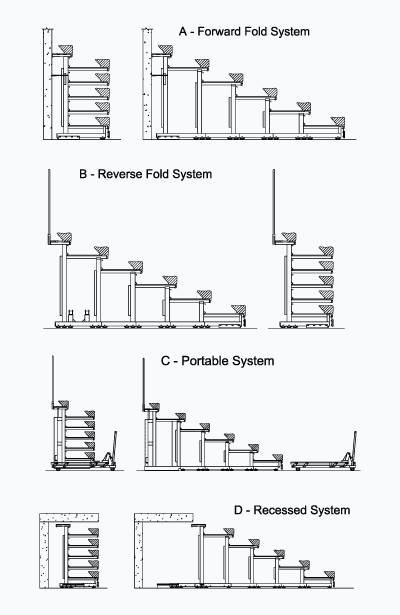 B. Reverse-Fold System: Reverse-fold systems are designed where space behind bleacher stack area is desired for other activities when the bleacher is not in use. This design is common in areas such as balconies and mezzanines. Up to 20 rows can be specified with this system (over 20 rows consult factory). Closes from last to first (bottom or lowest) row. Electric or manual operation. C. Portable System: Portable systems are designed so that they may be used in one part of a building and stored in another. 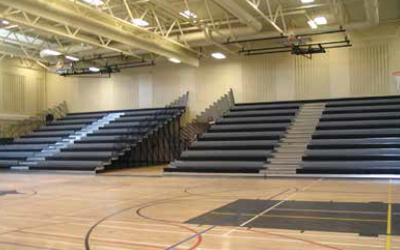 They consist of freestanding single sections of bleachers. Portable hydraulic dollies are provided for transporting bleachers to various spectator or storage areas. Manual operation only. Check floor condition and consult factory regarding point loads. D. Recessed System: This system requires minimal clearance to fit under a balcony overhang, thereby allowing total utilization available playing surface. Up to 30 rows can be specified with this system (over 30 rows consult the factory). Closes from the first to last (top) row. Electric or manual operation. Custom Seating Arrangements are Available! 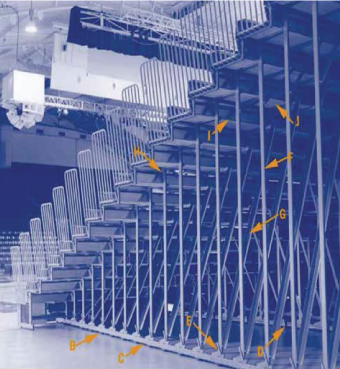 Reverse-Fold/Delayed Action: Same as reverse-fold except when bleachers are folder into a closed position the bleachers move forward to recover the front aisle area, resulting in additional usable space behind the closed bleacher. Truncated Sections: Cut-outs for the requirement of wheelchair seating, to comply with the Americans with Disabilities Act. Elevated Front and Rear Walkways: To improve sightlines or comply with code. Cut-Outs: For columns that extend out from a wall. 1. Gross Seating (Lineal Feet) x (Number of Rows) / 1.5 (based on an 18" seat). 2. 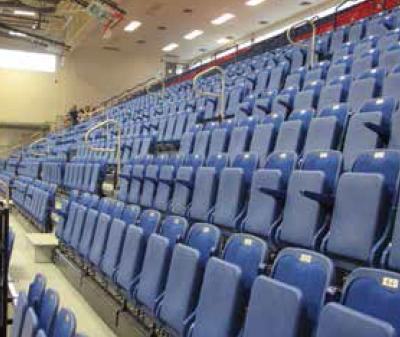 Approximate Net Seating: Multiply #1 x .85 to allow for aisles and ADA considerations. Balcony Height "D" should exceed unit height "C" by 8" (203 mm) maximum from top-row floorboard. A Range of Seating Options and Strategies your choice in comfort, seating capacity, and economy. Fixed ADA cut-outs: non recoverable ADA cut-outs are available in either 1 or 2 rows deep. Place these at the corners of any section for your most economical and convenient solutionwith no additional set up. Recoverable ADA cut-outs: can be placed at the corners of any section, in 1 row deep configurations. 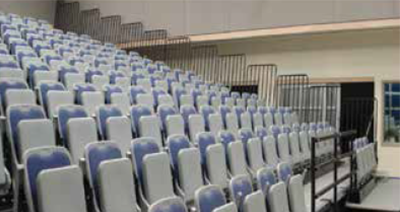 They can be locked to the first row when not needed for ADA seating, providing the full recoverability of valuable seating space, and because they are locked to the front row, you only set them up when needed. Self Storing End Rails: Eliminate storage needs with the self storing end rail. Adds 12" to each end of the bank length. End Panels: Keep unwanted material from getting behind bleachers in the stored position by adding End Panels to the back wall on either side of the bleacher bank. 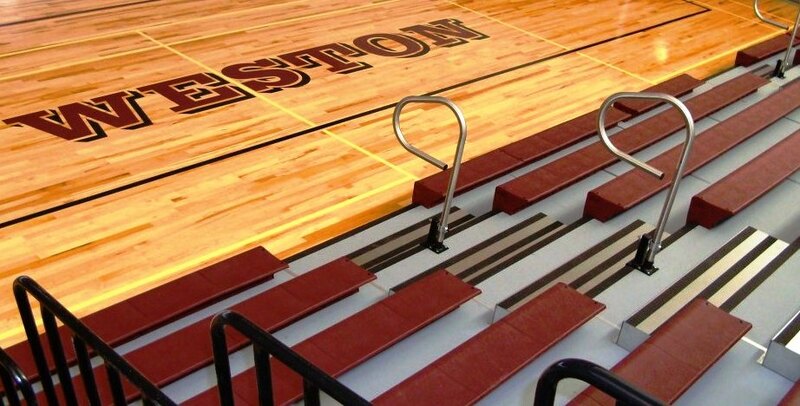 Rear Panels: Keep unwanted material from getting under bleachers - ideal for reverse folding configuration. Hydraulic Transporters: For portable configurations only. 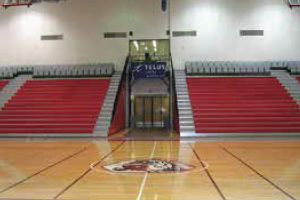 Vinyl End Closures (VEC): Keep unwanted material from getting under the bleachers while it is extended or retracted. 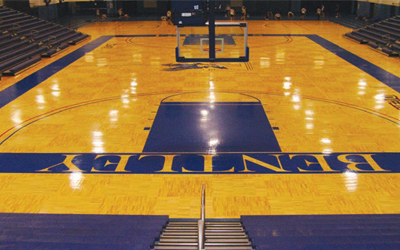 Made with heavy duty vinyl coated polyester, the closure is able to flex and fold with the bleachers every move. Mark II: Portable Electric Tractor - Add the ease of electric operation to manually operated bleachers. 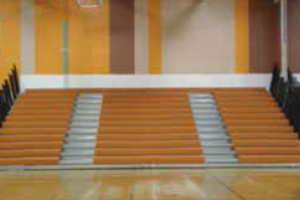 Ideal for medium sized bleachers up to 13 rows. Stainless Steel P-Rails: Kodiak Seating's P-Rails are nonremovable folding aisle handrails. The mounting pocket allows rails to pivot and fold sideways. The Kodiak P-Rail is the only center aisle rail in the industry that offers the asthetic beauty, durability, and zero maintenance convenience of stainless steel. RSL Manufacturing builds lasting quality and strength into everything we manufacture. 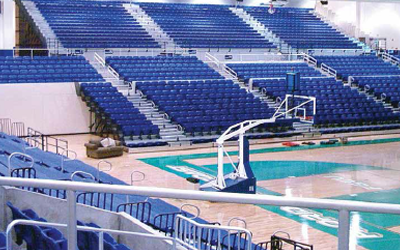 Whether you need telescopic seating, basketball backstops, or time tested game standards, RSL gives you the highest quality and the confidence that comes along with it. 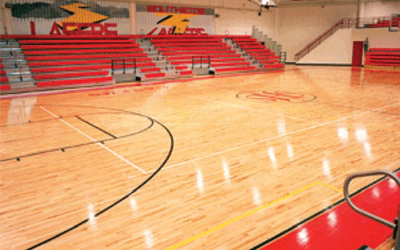 RSL is your one source solution for all your gymnasium facility or auditorium needs. 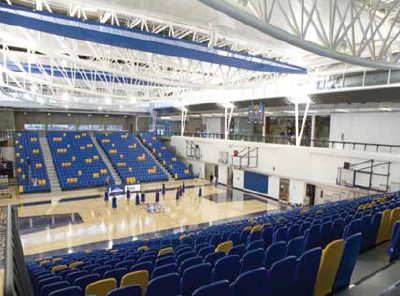 Basketball Backstops • Volleyball/Badminton • Standards Fixed Spectator and Theatre Seating • Retractable Spectator and Theatre Seating. Copyright © 2019 RSL Manufacturing Winnipeg Web Design by Awesome Co.